The best camera is the one that's with you, and PROMASTER MOBILE LENSES make your pictures even better! The exclusive dual mount system makes it easy to attach lenses to your phone or tablet using either a clip mount or magnetic mount. It even works with most cases! From wide angle to telephoto / macro to fisheye, the ProMaster mobile lens kit is a fun way to expand the possibilities with your mobile camera. Some phones have an internal IS (image stabilization) system that isn't magnet-friendly. 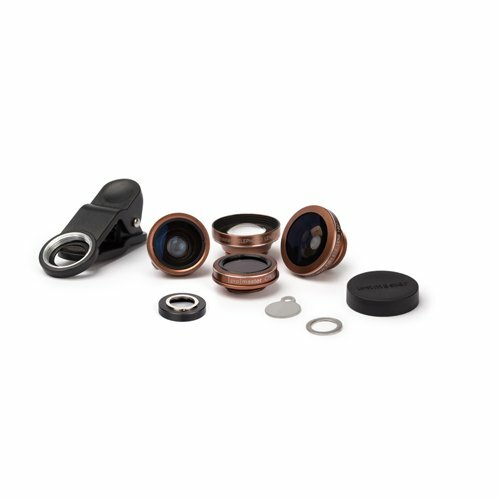 These 2.0 lenses address this issue by using a small threaded ring to achieve a magnetic attachment to the phone. When using a phone that has IS, and doesn't work well near a magent, you can simply switch to the clip system and keep on shooting!